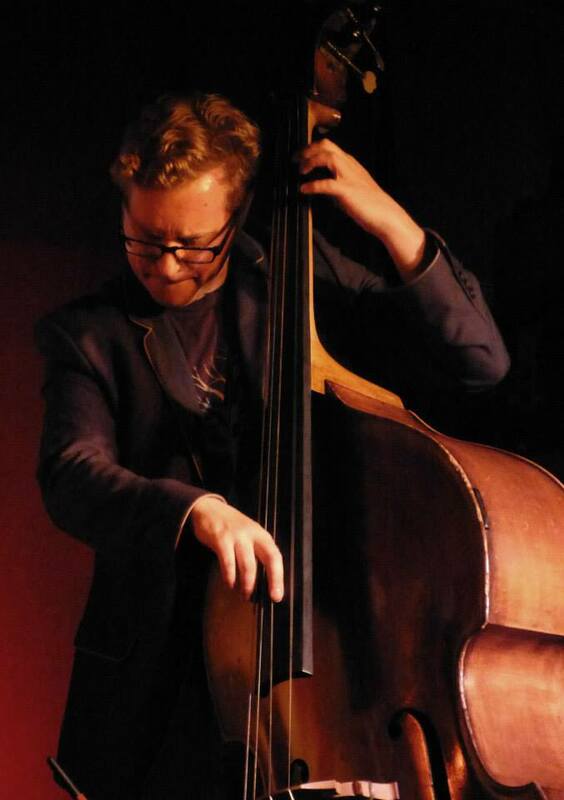 George studied classical double bass under Catherine Eliot and jazz bass under Simon Woolf. He has recently completed studying for a Masters in Jazz Performance at Trinity Conservatoire, London, for which he also received a Trinity Scholarship. George has been involved in various projects along his musical journey including Asian Drum n Bass, touring and recording for Outcaste records and 'Nasha' in the UK and Europe. He has also toured extensively and recorded with Dutch Jazz Violinist Tim Kilphuis. He was also featured on the BBC Jazz award nominee Spring Heel Jack's two albums 'Masses' and 'Amassed' featuring Kenny Wheeler and Evan Parker. George has also had the pleasure of playing with, among others, Geoff Simkins, Alan Barnes, John Etheridge, Simon Spillett, Martin Speake, Simon Woolf, Simon Spillet, Matt Wates, Gary Potter, Fapy Lafertin, Tchavolo Schmitt, Lillian Boutte, Tim Kliphuis (Netherlands), Rod Young, Steve Brown, Enrico Tomasso, Adrian Cox, Andy Mackintosh, Brandon Allen, Nigel Price, Alessio Menconi (Italy), David Blenkhorn (Aus). George's latest project is the Nighthawks Quartet with Roy Hilton on piano and fellow Trinity Alumnus Pete Hill on drums playing their own compositions and arrangements of 20th century music, with Matt Wates on Alto and Jack Kendon on Trumpet. The focus of this band is as wide as the tastes of the members and includes film soundtracks, hard bop, neo bop and nu jazz. The Nighthawks performed at the 2017 Love Supreme Festival in Glynde. George's other project is his Swing Combo, 'Rythme Futur' - for which he creates arrangements of classic jazz repertoire especially the cross over between swing and be-bop. They perform at venues such as Cafe Verdi RAH and the Underground Theatre Eastbourne. Their CD 'Yesterdays', which explores the possibilities of an acoustic Swing ensemble, is available by emailing George at this site! George has toured and recorded extensively as part of the Adrian Cox Quartet touring nationally and in Europe. 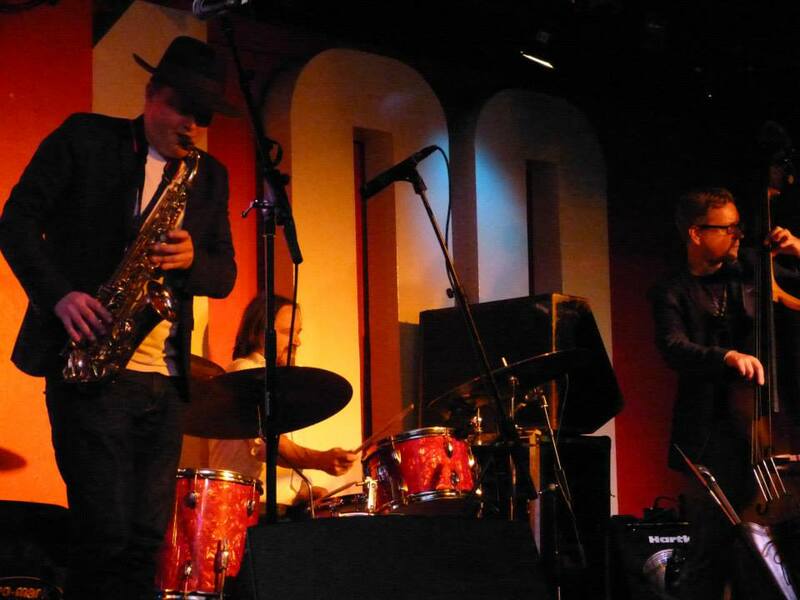 He is also bass player for the Sue Richardson Quintet with whom he has recorded two albums and is looking forward to a UK tour in Spring 2015 of her 'Too Cool' tribute to Chet Baker show after taking it on tour in 2014! Internationally George has played at Silkeborg (Den), Silda Jazz (Norway), Femo Jazz (Denmark), Breda (Holland) Einkhuizen (Holland), Alingsas (Swe), Luzern World Music Fest (Swi), Chet Baker Club, Bravo Club, Bentivolgio Jazz club (Italy). 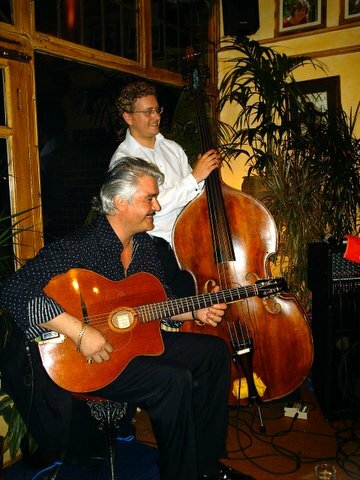 In the UK George regularly plays at Swanage, Bude, Oliver Cromwell, Ealing, Birmingham, Greenwich, Esprit de Manouche, London and IGGF Jazz festivals.